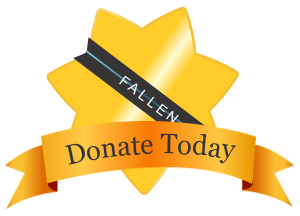 Fallen’s mission is to provide immediate direct financial support to the survivors of law enforcement officers killed in the line of duty. In the last five years, our nation has suffered an average of 164 officer deaths per year, an “in the line of duty” death every 2.2 days. 99% of officers killed in the line of duty leave behind minor children along with their significant other. On February 15th, we lost another American hero bringing the total number of law enforcement officers killed in the line of duty in our country this year to 17 officers. Agent Zanyet-Pérez of the Puerto Rico Police Department in Yauco, Puerto Rico, was shot and killed while conducting an undercover operation. Agent Zanyet-Pérez was at a store when a subject in a passing vehicle opened fire, fatally wounding him. A bystander was also wounded in the shooting. The vehicle fled the area and the suspect(s) remain at large. Agent Zanyet-Pérez had served with the Puerto Rico Police Department for 18 years.